Integrate video API technology into your core product or service. You’ll see the apps that are trying to cut corners, they’ll use just the native player, it errors out and it’s a mess. With JW, everything is taken care of and it’s so fast. 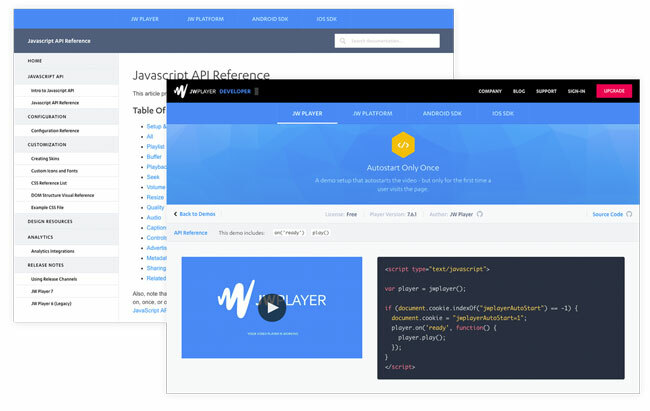 Flexible player and platform APIs allow for extensive integration and sophisticated workflows. Implement video into your products without learning video engineering, codecs & formats. Demo apps and sample code help you incorporate video into your native mobile apps quickly and painlessly. Proven video technology backed by dedicated video engineers who keep up with the latest standards so you can focus on your core business. 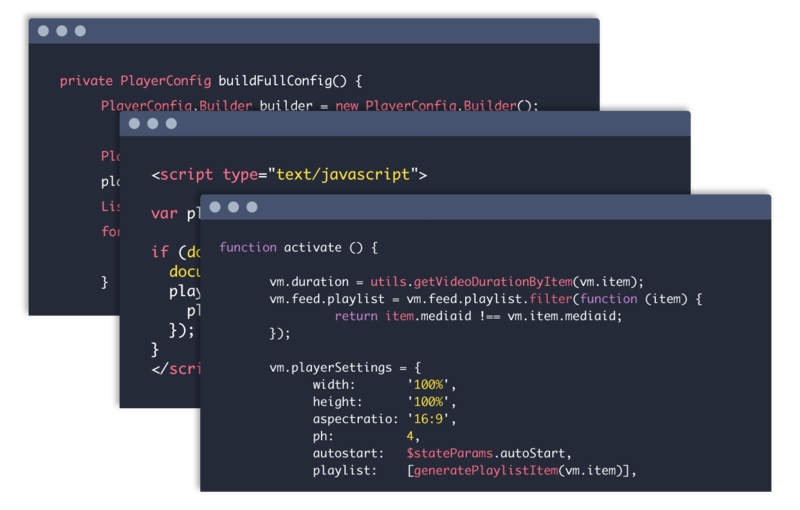 Create custom skins, icons, fonts, and feeds to customize JW Player with our CSS Skinning Reference, DOM Visual Reference, and Designer Kit. 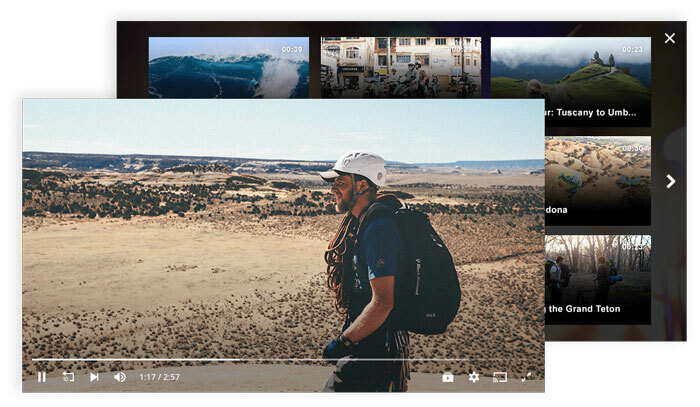 JW Player empowers developers with Video API references, Developer Guides, demos, kits, and tools to quickly and efficiently build video technology into sites, apps and services — in languages you already use.